How can CBT help me? Core beliefs (schemas) are self-sustaining. They act to ‘attract’ confirmatory evidence and ‘repel’ or ‘distort’ disconfirmatory evidence. 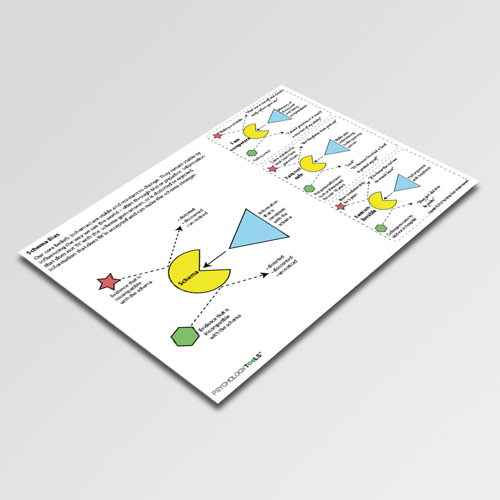 This information handout visually explains the operation of schema maintenance. 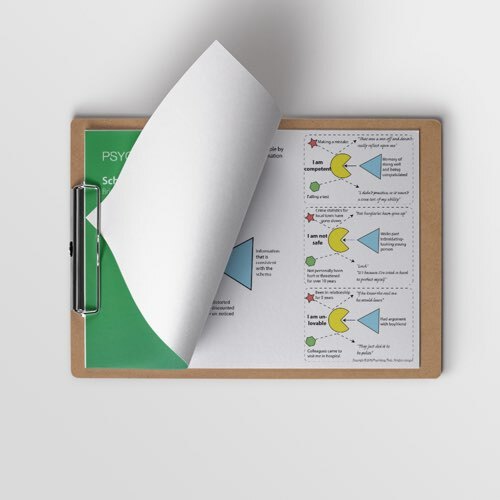 In the cognitive behavioral model cognition is typically addressed at three levels: automatic thoughts, conditional assumptions, and core beliefs (schemas). Some therapists talk about the mind trying to attain a state of equilibrium – it doesn’t like change. To this end, core beliefs can be resistant to change – they can bias the way information in perceived. 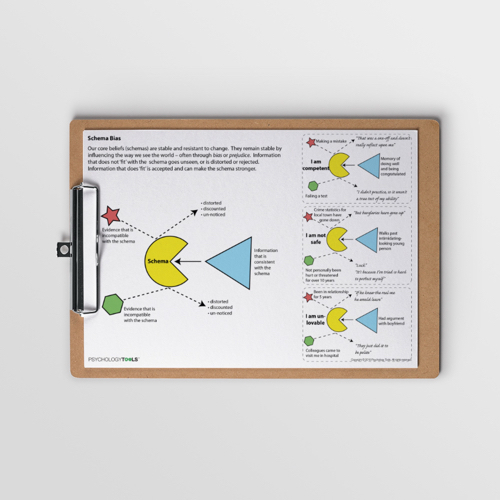 Schema Bias is a CBT worksheet graphically illustrating how core beliefs (schemas) are maintained. 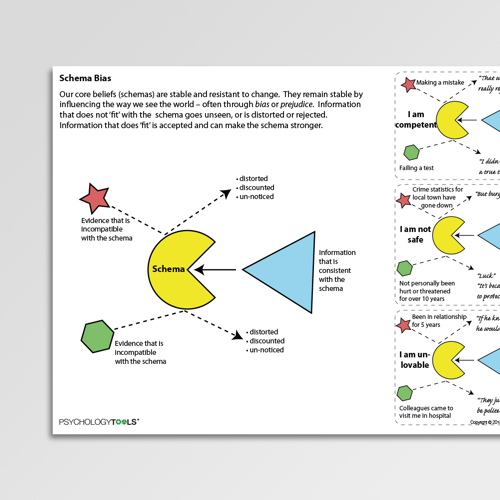 It can be used to help clients understand about how their mind can shape and distort information prior to the use of schema-change interventions. Padesky, C. (1991). Schema as self-prejudice. International Cognitive Therapy Newsletter, 6, 6-7. 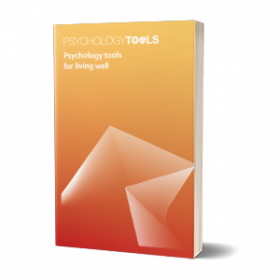 Copyright © 2019 Psychology Tools. All rights reserved.